Stimulite is a flexible form of honeycomb material, made from BASF’s Elastollan thermoplastic urethane (TPU). It is an alternate material to foam in seat cushions and sleeping surfaces. 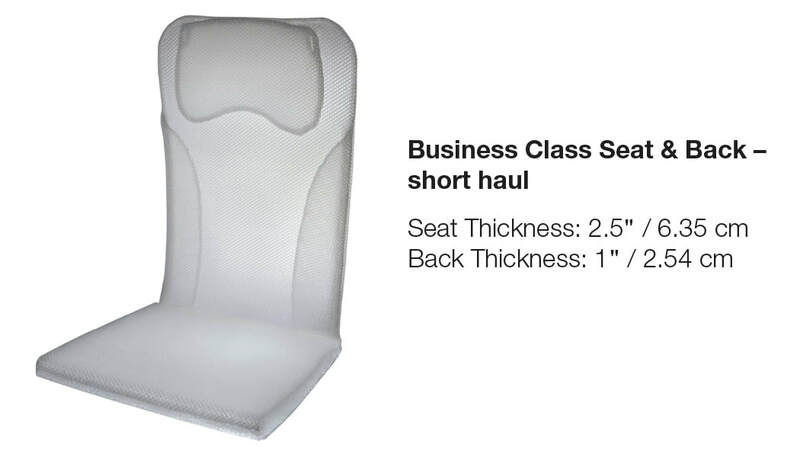 Medically proven, it provides long term sitting comfort in a lightweight, low profile that yields more cabin space. Unique performance features promote health and well-being. 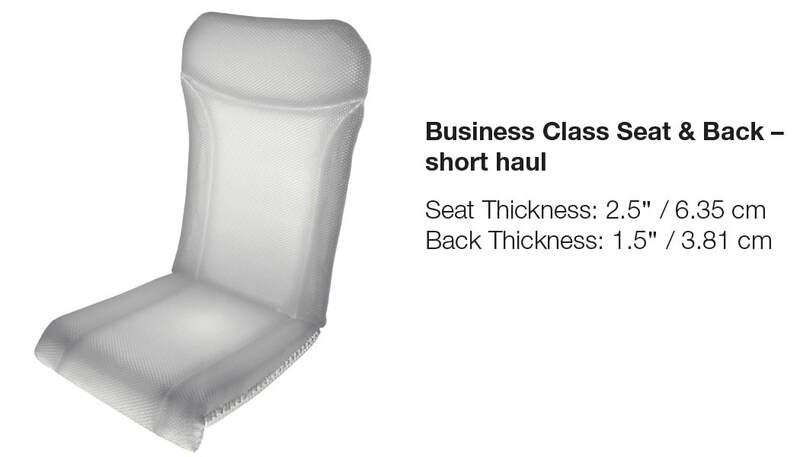 Stimulite honeycomb can be found in aircraft crew rest mattresses as well as passenger seat cushions and seat backs and is commercially available from Supracor Inc.
Made from fusion-bonded TPU honeycomb, more than 90% of Stimulite’s cellular matrix is open space which makes it a resilient, lightweight material that has “memory”. 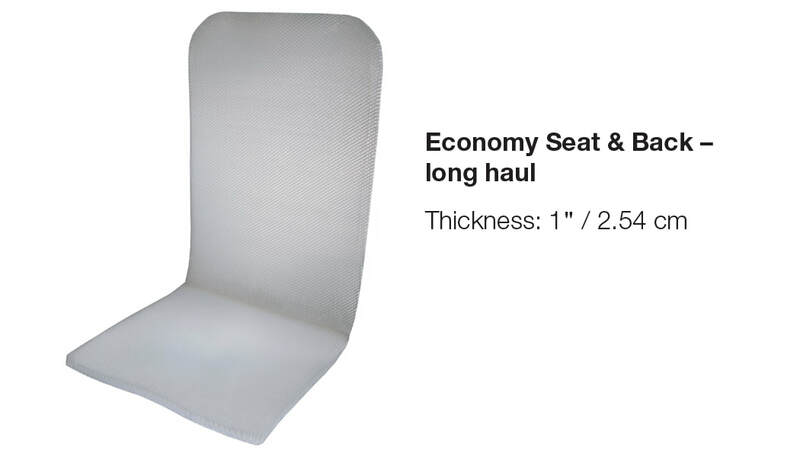 On account of an optimally designed strength-to-weight ratio, it provides uniform weight distribution and a unique level of comfort for the passenger — at a fraction of the thickness of conventional foam cushions. ​Unlike foam, Stimulite is anisotropic having three different degrees of resistance or “flex” in its length (“L” direction), width (“W” direction) and vertically against the surface (“T” direction). This enables it to absorb energy or impact from different angles and to contour and self-adjust to any shape. When sitting on a fusion-bonded honeycomb cushion, the cells flex and radiate outward surrounding the anatomy, providing a unique level of comfort. 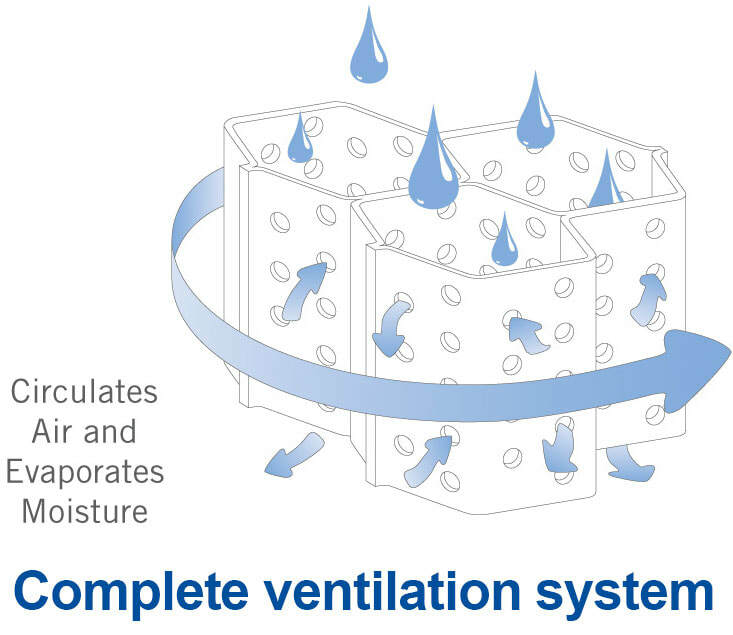 ​Perforations in the cell walls circulate air and evaporate moisture, creating the ideal microclimate for long-term sitting comfort. And to further promote well being, the cells flex with movement for a massaging effect while their “footprint” enhances blood flow, combating the numbness that can occur when sitting for long durations. 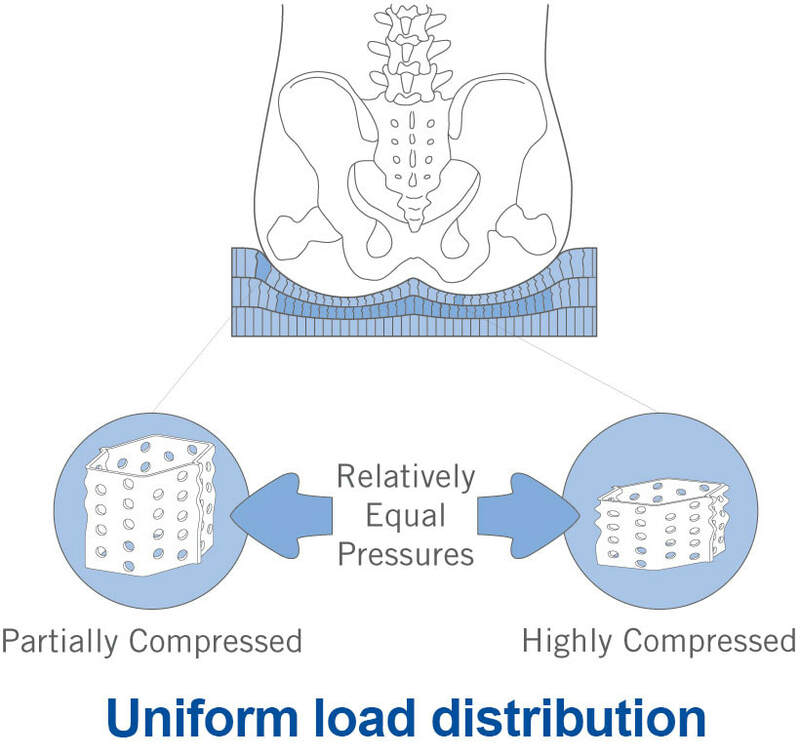 ​The polyether-based Elastollan TPU that makes up Stimulite’s honeycomb “scaffolding” imparts properties typical for that material class, such as high resilience and durability, excellent hydrolytic stability and resistance to fungus and microbial growth. In contrast to certain foam products, Stimulite will not absorb moisture over time and is completely recyclable. 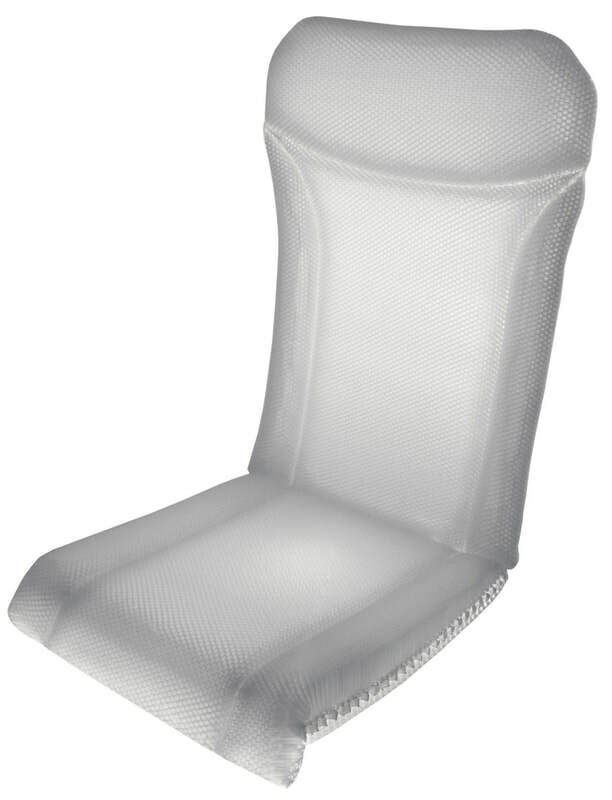 Elastollan TPU-based fusion-bonded honeycomb is compliant with the industry’s FST standards. Due to its lightweight and high performance, Stimulite is recognized by the US military where it is specified as the material in the ejection seat cushion for fighter jets and multiple types of rotorcraft, including the H60 Black Hawk helicopter and V22 Osprey. The Boeing 787 Dreamliner and 747-8 long range aircraft feature flexible fusion-bonded mattresses in the crew rests. Stimulite can be engineered to meet specific requirements, including custom contours and profiles. 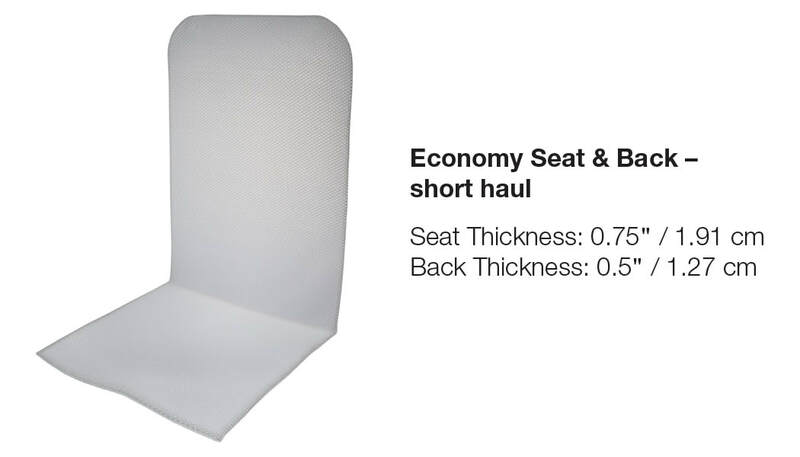 Stimulite seat cushions are compliant with the FST requirements set forth in 14 CFR Part 25 and corresponding original equipment manufacturer (OEM) specifications. 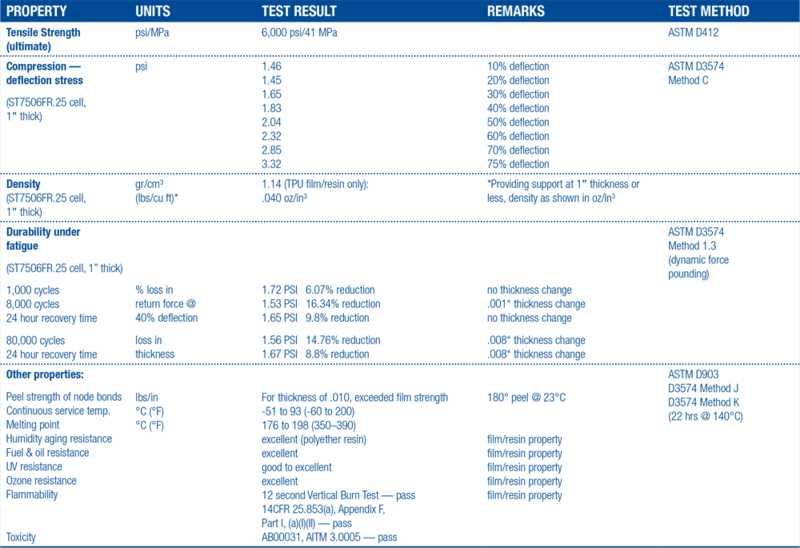 The Elastollan TPU materials used for its manufacture are based on non-halogenated flame retardant technology. Important: The above information is believed to be reliable, but is not to be construed as a warranty or representation for which we assume liability or any other legal responsibility. Users should undertake sufficient verification and testing to determine the suitability for their own particular purpose of any information or products referred to above. NO WARRANTY, EXPRESSED OR IMPLIED, INCLUDING WARRANTIES OF MERCHANTABILITY OR FITNESS FOR A PARTICULAR PURPOSE, IS MADE. The foregoing may not be changed except by an agreement signed by an officer of the seller.